It has been said that the only constant is change. Evolution is a natural process for all that exists. Metropolitan Theological Seminary has experienced the reality of evolution and continues to do so today. Metropolitan Theological Seminary will be officially known as Metropolitan Interspiritual University, colloquially as Metropolitan University. This adjustment to identity will aid in clearly identifying the broadly diverse possibilities of study and research of the community and create a greater awareness of the many programs of interspiritual study available at Metropolitan. The School of Interspiritual Studies will facilitate interspiritual studies in a broad range of academic disciplines. The School of Interspiritual Studies will direct the general and interspiritual educational programs of the University. Metropolitan Seminary will continue providing programs of study designed for students preparing for ordination in particular faith communities. Metropolitan Seminary will continue working closely with the school's academic partners (Alliance of Divine Love, The Progressive Episcopal Church, the Unitarian Christian Conference, etc.) in designing, deploying and providing programs of study specific to the ordination requirements and ministry preparedness needs of academic partners and their ordination candidates. Horizon Academy will continue as an interspiritual and interdisciplinary research, education and advocacy institute dedicated to addressing practical and theoretical questions arising from the integration of interspirituality in the global community. Horizon Academy will continue providing opportunities for independent and cooperative interspiritual and interdisciplinary research projects. Although these adjustments to the organization and administration of Metropolitan identify unique platforms of focus and purpose, Metropolitan University will remain a single united community, and students and candidates enrolled in any area of study or research will continue to be an integral part of the unified Metropolitan University academic community. Metropolitan University has added a Master of Arts-Religious Studies program to accommodate the needs of graduate level students not preparing for ordination or deployment in an ordained ministry setting. The PhD-Religious Studies program provides an avenue of independent research and scholarship for candidates pursuing a postgraduate program of study in a particular interspiritual focus area of scholarship. However, only the Master of Divinity and the Master of Ministry tracts have been available as focus areas for graduate level candidates. The creation of the Master of Arts-Religious Studies will provide a highly flexible, interdisciplinary program that takes full advantage of faculty strengths within Metropolitan, as well as ancillary fields of the humanities and social sciences. In the spirit of the inherently interdisciplinary character of religious studies, the Master of Arts-Religious Studies will provide candidates opportunities to pursue focus area studies and research in the history, theory and method of religious studies, and in important complementary interspiritual approaches such as textual study, philosophy, history, anthropology, sociology, culture and art. Metropolitan University will continue to embrace an interspiritual identity and will broadly identify the core values of the school through seven general guidelines: (1) a capacity to live morally, (2) deep nonviolence, (3) solidarity with all life and the Earth itself, (4) a spiritual practice and a mature self-knowledge, (5) simplicity of life, (6) selfless service, and (7) prophetic action. 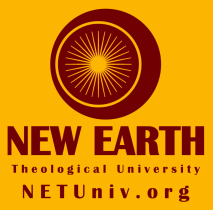 The former online presence at MetroSeminary.us has transitioned to MetroUniversity.org. These adjustments will be implemented Fall 2014 Semester. It is the hope of administration that the students, faculty and academic partners will find these adjustments to be beneficial to the academic, research and ministry development needs of everyone involved.